I have built three games up till now and all of them have been built using Apple’s SpriteKit framework. I do know that SpriteKit is not cross-platform, hence I was limited to developing only for the Apple platform. But I still decided to go for it. But I ran into a problem. Coming from a non-game development background, I found that the Unity docs and tutorials were a little thin for rank beginners (although there a lot of them). I found it tough and overwhelming at the beginning and constantly searching for the terminology being used in the tutorials. It probably wasn’t the greatest of starts for me. But after moving on from cocos, I tried to read through Apples’s documentation on SpriteKit. I already had a bit of prior experience on iOS development. To my surprise, the documentation was awesome for someone beginning like me. There weren’t that many great details but whatever there was, was explained neatly. That gave me confidence that I could actually do some game development. But there was the downside. SpriteKit could only be used for development on the Apple ecosystem. That had me confused on whether this was a good ides or not. So again, I was back on internet reading up on it. I gained a few things from all that reading. First was that, most of the people preferred publishing to iOS anyways. Second, that it was more important to “finish” a game. Most of the people start developing but never finish it off and that is irrespective of engine they used. Third, that the engine is not the most important thing. If a game is successful, you can always spend some time porting it to other platforms. So now I have decided to expand my skillset and move on to using the more industry-preferred engines for developing cross-platform games. 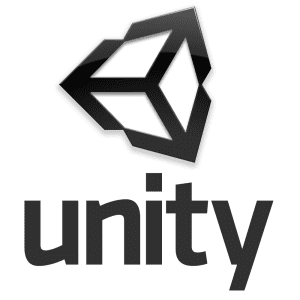 And in this endeavour, I have decided to try the Unity engine again. And you know what, things are much more clearer than before! I tried out the Unity tutorials and documentation now, and all of it makes much more sense to me. I have already started out with the development of my next game using Unity! I will post more articles about my experience with Unity which has been great so far, along with the progress of my game tentatively titled – ‘Mr. Mustachio’. This post isn’t about which engine is better and which is not. I do believe that it is more upto you what you can do out of a engine. This post is more about trying to tell that it is much more important to get started and sticking it out. There is no perfect option. Find the option that you are most comfortable in learning and take it from there. Do not just take in theoretical knowledge but expand on it by actually building stuff along with it. You will run into tons of problems that will probably teach you a lot more than any book or article. And do whatever it takes to publish your game on your selected platform.